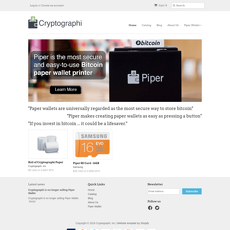 Bitcoinpaper wallet was created out of the frustration and distrust from exchanges being hacked and manipulated. 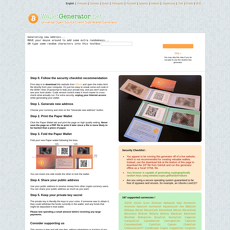 Here you can “be your own bank” by using their tools to create paper wallets. They carefully detail security precautions you need to take including how to save your paper wallet from water damage and the proper way to use your paper wallet. They even include a nice graphically designed paper wallet to be printed and along with this comes a handy video guide explaining how to fold and even lock the wallet! Neat! The site was created with simplicity in mind to help those who are not so experienced in cryptography ideology and network security allowing users to very easily follow the step by step instructions to save guard their investments in cryptocurrencies. Overall, this website is very similar to all of the other paper wallet creating websites out there and seem to be developed by fellow crypto enthusiasts. 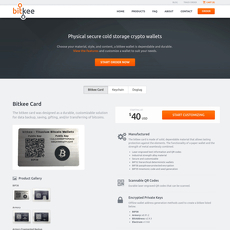 I find the detailed information and video guides to be slightly higher quality than most paper wallet creating websites, so I highly recommend giving this site a look! The website is very simple to use and incredibly helpful for people new to this type of security. The website has great educational content. Not really a con, however, most of these paper wallet websites are very similar!